I know from experience how keen they are on making you wear the reflective on a night. Three times me and another rider got told to put our reflective jackets on. It was not the fact that I did not want to wear it, but there was more than an hour at least till sunset, no where near dark and it was roasting in the heat. Just to keep the motorcycle rider happy, as he was shouting at us and waving his arm wildly on the last occasion and told us he would not tell us again we stopped and put them on. To try and keep cool, I just removed my jersey and stuck it in my saddlebag and wore the reflective jacket till it cooled down a bit. But, I did hear afterwards that there was an over ambitious motorcycle rider who had a go at a few riders in similiar circumstances and we must have come across him. Plus, not wearing one could incur a time penalty, think its a couple of hours, plus they might have added another hour or two for ignoring a marshall as well. I had a similar situation with a marshall in a car. Wearing the too heavy vest did cost me a visit to the docter in Carhaix as my old shoulder injury started to hurt again due to the excess heat generated by the jacket. If you do think the official vest looks a little flappy and unbreathable, Wowow make vests which are CE EN1150 approved. I got the "Maverick" and think the cut is really good. Can be hard to source in the UK but Hollandbikeshop* carries them. *Buy before 29th March if we leave with no deal though, to save import fees. I think we looked at Wowow vests on a FB thread last year — I checked the registration of the EN certificate (with TÜV) and it all looked rather fishy, like they'd "borrowed" the certification from a different company for a similar product. The label is apparently no longer any guarantee of compliance. Is it not like British Standards marks? A declaration by the manufacturer that it meets the defined standard. With it being an offence to offer for sale something labelled as compliant that isn't? They do define colours and I think it only allows yellow, orange, red within the standard. I did have a read of it couple of years back. I recall the spec being fairly relaxed about colour, as corporate colours can also be used, so long as they fluoresce. 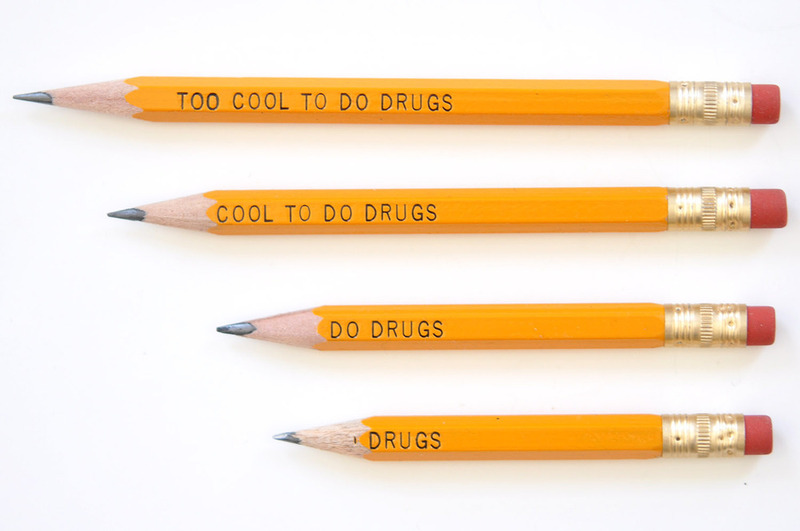 I recall pink being allowed. The standard covers the requirements for the base fabric colour, minimum areas for reflectivity, and placement of tape. The requirements on the minimum area of reflective material (detailed in the table below) can restrict the ability to adjust garments. For example, shortening trousers might reduce the area of fluorescent material too much. This also means that hi-vis trousers shouldn't be tucked into boots when in use, as the garment may no longer comply. The same goes for wearing any clothing that obscures or covers the fluorescent material, for example wearing a non-hi-vis jacket over a hi-vis vest. Three colours of fluorescent material are approved in the standard; yellow, orange and red. In addition to the surface area of each material, there are also requirements for the performance of these materials, as well as the degree of reflection from the reflective strips. Physical properties including tensile strength, thermal resistance, and dimensional stability are also covered within the standard to ensure that all hi-vis is suitable for a range of working conditions where there is a high risk. There are strict requirements on the amount of 'bleeding' between the reflective strips and the fluorescent and contrast materials. This bleeding refers to the residues of colour within the material that can stain the sensitive parts of the hi-vis garment. As the fluorescent material is always a bright colour, it can be affected by the darker colour of the contrast material. EN ISO 20471 stipulates the tolerated level of bleeding to ensure the fluorescence is still effective. Also your hiviz vest from 2015 will no longer be compliant! EN ISO 20471 was released in 2013, replacing EN 471:2003 A1:2007. As certificates are only valid for 5 years, this means that the last garments made to EN471 certification will lose compliance by the end of 2018. Disregard. I'm wrong. It does need to be type tested and approved to gain certification. attach a en1150 label to the vest of your choice? I believe that's a criminal offence. And removing a label makes the garment non-compliant, too. It's all rather predictably dull. i was thinking along the lines of making/sowing your custom vest according to the guidelines of en1150 and attaching a label from say "builder's" vest. technically it would be compliant, aiui? anyway, my child-sized vest was fine (i.e. snug fit and ending above jersey pockets for convenience) last time and i'm planning to use it again this year. I don't think so, because your vest would not have been tested or homologated. But unless you were selling it, I can't imagine that mattering. 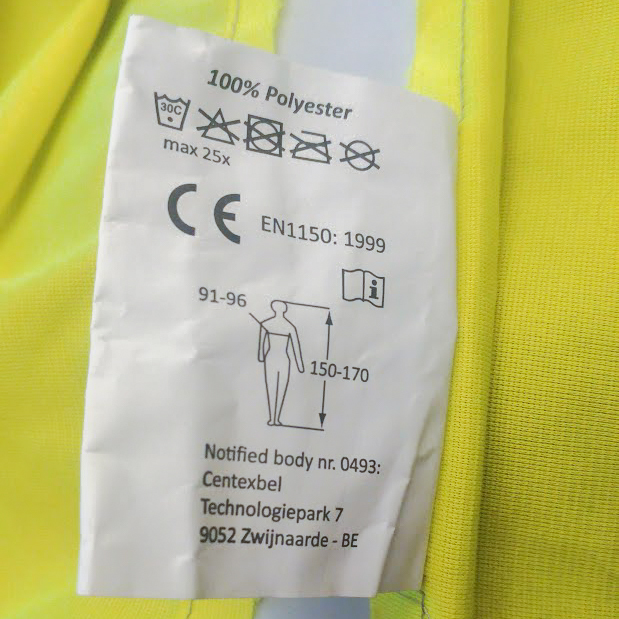 Take a look at running vests complying with ISO 20471. Mine is actually a running vest and seals via velco at the waist. Yeah, but then you get abuse during postal strikes instead. I saw a photo somewhere on the interwebs of someone wearing a yellow vest with "Not a nazi - I'm a real surveyor" written on it in marker pen. Seems like a pragmatic approach. Yep, I was referring (in my head) to the earlier standards. I hadn't looked at this latest one. Interesting (in a nerdy way) stuff. I've just checked my 2015 gilet and it's to EN1150:1999, so possibly still fine, as it's covered by the non-commercial hiviz spec — ACP mention that whichever gilet is worn, it must be either EN1150 or EN ISO 20471. This is another one that looks like it has an incorrect label — I have a strong feeling that the area of reflective must comprise a majority proportion at 50mm or wider, where these are clearly narrower and so would contribute to the fluorescent area only. It's only what I remember, though — the standard is 118 Swiss Francs and specific information elsewhere is thin ... ah, found a copy I think, and it says this: "bands of retroreflective material shall be at least 50mm wide" — it seems clear to me that the gilet pictured cannot be compliant with EN 20471 in this regard, as well as the minimum area, unfortunately. Also, the mesh material may be non-compliant. This is the sort of detail that fashion- and sports-style reflectives fall down on. Even EN1150 specifies >25mm bands that wrap the torso and (IIRC) non-perforated background material. The back of the label must also show a wash schedule, as I can't see it on the front — if that's not there then this definitely is an "inventive certification". There does appear to be a problem in the supply chain where out-of-region manufacturers are importing their goods via grey channels (mail-order, Amazon, eBay) with labels that look correct, but in fact are borrowed from a different garment, or fabricated altogether. Not that ACP is going to check, but there are some parts of both standards that are obvious from a distance, namely the quantity of background material (the size of the garment), the balance between front and back (50% ±10%), and the width of the bands that must wrap the torso. As ever, it'll only be a problem if it becomes a problem, YMMV, caveat emptor, mets ca dans ta poche et ton mouchoir par dessus, etc., etc. Surely the only requirement is Not To Be Hassled By Jobsworths, who won't have read any standard but will be familiar with the PBP gilet, so you want something that looks superficially similar to that - whatever standards it might comply or claim to comply with. I agree with @grams as far as the governing criterion. 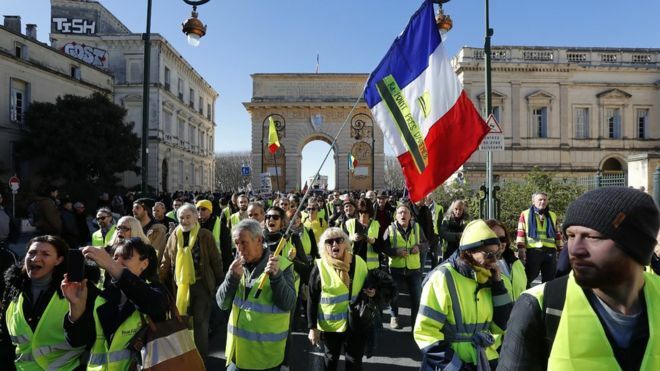 According to French traffic law, a high visibility vest MUST be worn when riding at night (EN 1150 or EN ISO 20471 certified to meet international safety standards)." Note that EN 1150 allows green and pink and that the minimum width of the reflective material stripes is only 25mm (rather than the 20471 50mm minimum).
. . . must be distributed reasonably evenly around the whole garment. "The fluorescent fabric must encircle the torso with at least 40% or the minimum required area of fluorescent material present on the front of the garment (and at least 40% on the back of the garment). The reflective strips must be 50 mm wide and the space between 2 reflective strips must be at least 50 mm." Natty hi-viz scarf on the old guy behind the flag-bearer. What standard is that covered by? It has the correct standard listed on the label. How can I as the end user be expected not to treat that in good faith? I'm guessing french police are unlikely to worry about such things if you're wearing a hivi. If they do know about standards, and you show the label, surely that's enough? I'm wondering what the doublespeak is that allows things to be incorrectly labelled. As an aside I wonder which is a higher risk in hot weather, heat exhaustion from boiling in a mandatory compliant hivi, Vs getting hot for someone not seeing your rear lights and reflectors. If you're a bit warm in Normandy at night (not in Malaysia), undo the front Velcro/zip. If you finish your event out-of-time due to the extra drag, you are welcome to come moaning to me. Main reflective bands front and back are 140mm x 65mm. The narrowest reflective material is 50mm. There is enough reflective material to meet at least ISO 20471 class 2. Washing instructions are on label. This is the discussion on FB about a gilet off Wowow last year — https://www.facebook.com/groups/audaxtechetc/permalink/353732111871376/. The upshot was that the label looked like it was for a different company. Nevertheless, the TÜV certification had lapsed, presumably it was only for five years? Or someone spotted its misappropriation? Hard to tell, really, but trivial to attach a convincing-but-fake label to something made out-of-bloc. As for interest from the Police — that's a load of "ifs", but at the end of the day if it's non-compliant then it's non-compliant. To be compliant it must satisfy all the requirements of the standard, still be in good condition, AND be labelled correctly. Please see my advice above - it's pretty applicable to most of France, most of the time. If you still get too hot, take off your jersey. Very good of you, Matt. I'd like to moan to you about the Flapjack from Chippenham in 2013, or maybe it was 2014 (come to that it might have been 2012), when the ridiculous constant headwind (coupled with a puncture and all the normal factors) caused me to finish out of time. I wasn't wearing hi-viz at the time, but this happened due to the extra drag, okay? I'd also like to complain about the notorious Oxford-London night ride on which Rogerzilla and Hummers dressed as Widow Twankee and Cinderella (don't ask who was who). There was lots of extra drag on that ride. Just had a look through that FB chat and can't see where it was suggested that the label was for a different company. Wowow are a legitimate, European based company. I'd be surprised if they were doing anything dodgy with EN certification, they're not a Chinese seller operating outside the reach of EU law on Ali-Express. Page created in 1.413 seconds with 25 queries.